Misc sticker packs = Total of a 10 misc sizes and colored stickers. 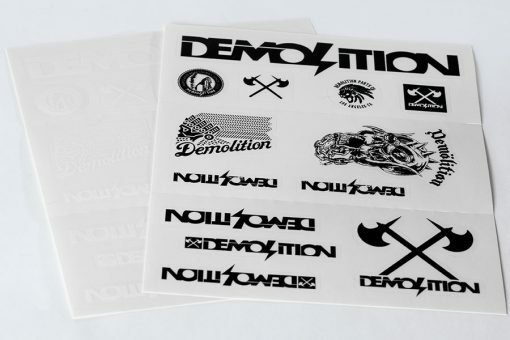 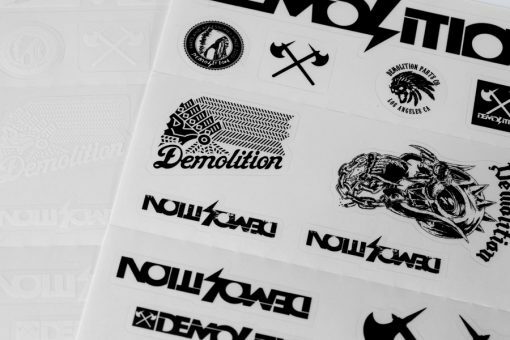 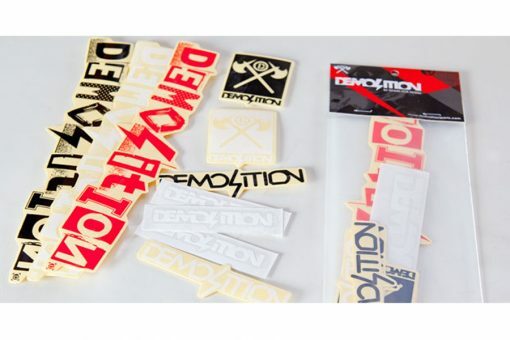 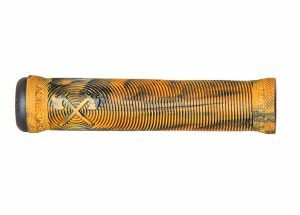 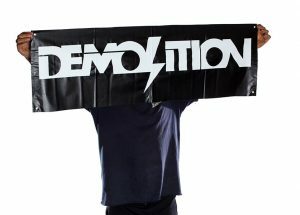 Big 20″X5″ Demolition shop/ramp sticker. 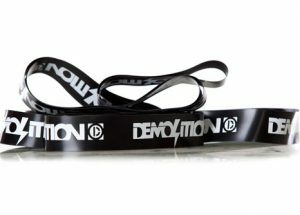 Black/White only.